tglg	 02-08-2019 04-25-2019 Success 76 4/4 Got back all 4 signed in a nice blue sharpie. pbtank67	 01-28-2019 02-23-2019 Success 26 1/1 87T. Nicely signed in blue sharpie. CRM302	 01-28-2019 02-08-2019 Success 11 1/1 Sent 1991 Fleer #648. Signed in black sharpie. Thanks Mr. Tewksbury! zooiiks	 10-17-2018 12-17-2018 Success 61 4/4 Signed 4 cards! Danmay55	 06-25-2018 11-29-2018 Success 157 3/4 Signed all 3 cards and signed ad for his book! jketcham530	 02-20-2018 06-15-2018 Success 115 1/1 Signed 1991 Topps Card. Nice signature! Thanks Mr. Tewksbury!! GoStLCards	 11-09-2017 06-11-2018 Success 214 2/3 included signed book promo postcard. Thanks, Mr. Tewksbury! sreader3	 11-02-2017 06-25-2018 Success 235 2/2 87T, 87F. Nice blue Sharpie autos. mnbigfoot	 04-13-2017 07-28-2018 Success 471 5/6 (2) 1992 Topps, (2) 1993 Leaf, and 1993 Upper Deck. Plus a signed postcard. Thanks Mr. Tewksbury! 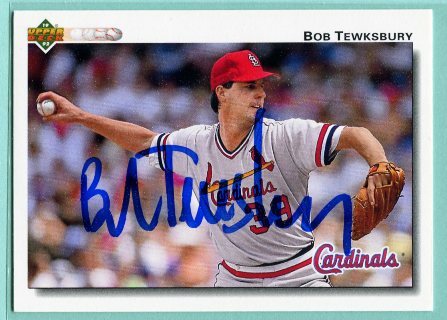 tglg	 02-04-2017 02-23-2017 Success 19 4/4 Got all 4 back signed nicely in blue sharpie....very pleased and a great Cardinals success. 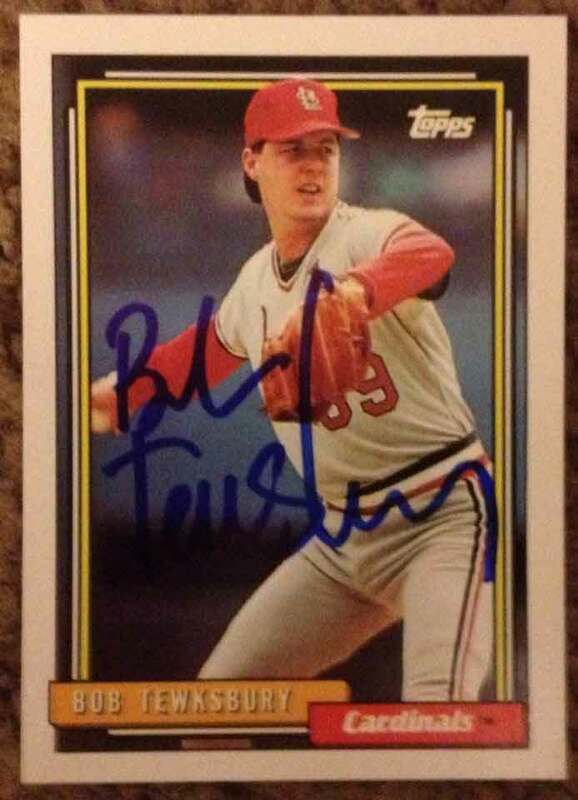 cbtvideos	 02-19-2015 03-12-2015 Success 21 1/2 Sent one 1986 Fleer Update trading card, letter, and SASE. Got back trading card I sent and a hand written letter, signed with a blue Sharpie. Sent back in SASE I sent. David Hall	 07-25-2011 12-30-2016 Success 1985 3/3 About 5 and a half year wait... glad these came back! smrbraves	 03-29-2011 12-31-2016 Success 2104 1/1 2,104 Days. Never Give Up! thefridge	 03-09-2016 03-30-2016 Success 21 3/3 Sent 91 ud, 93 ud, 92 Fleer. Signed all in blue sharpie. Danmay55	 08-27-2018 12-19-2018 Success 114 2/2 Signed both!